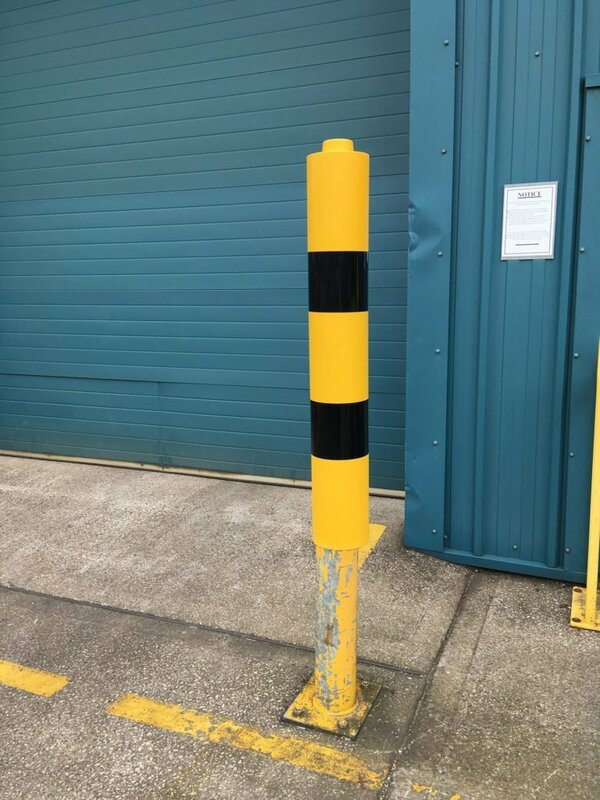 Maintaining a high visibility colour finish on protection bollards is important but also time consuming and costly. Due to the nature of the application scuffs and weathering of paintwork are inevitable. 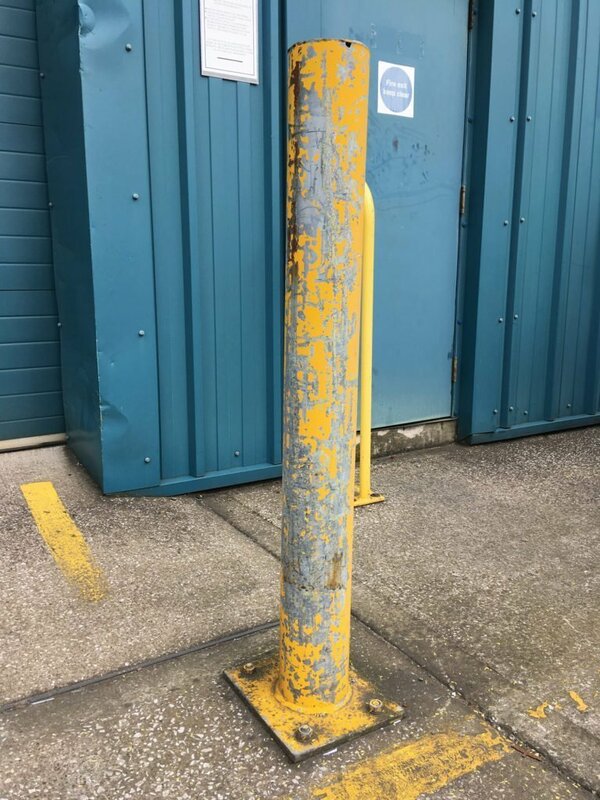 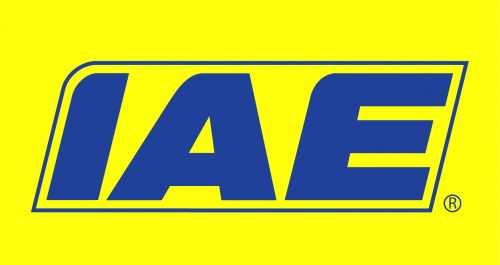 IAE now offer a cost effective practical solution to this problem with the PlasProtek™ Bollard Sleeve. 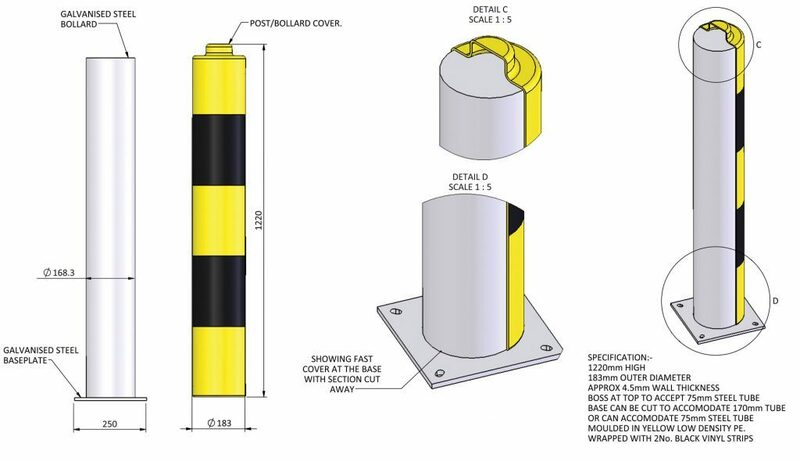 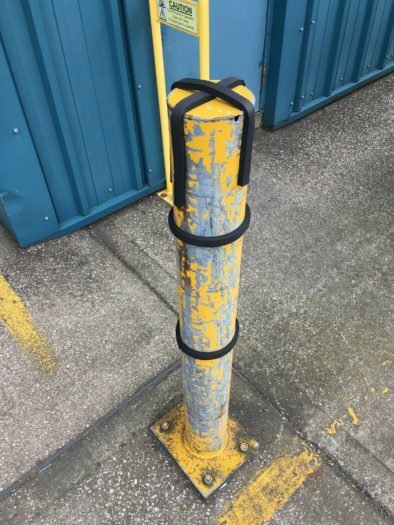 With the PlasProtek™ Bollard Sleeve you can either to fit over existing bollards or be supplied with new. 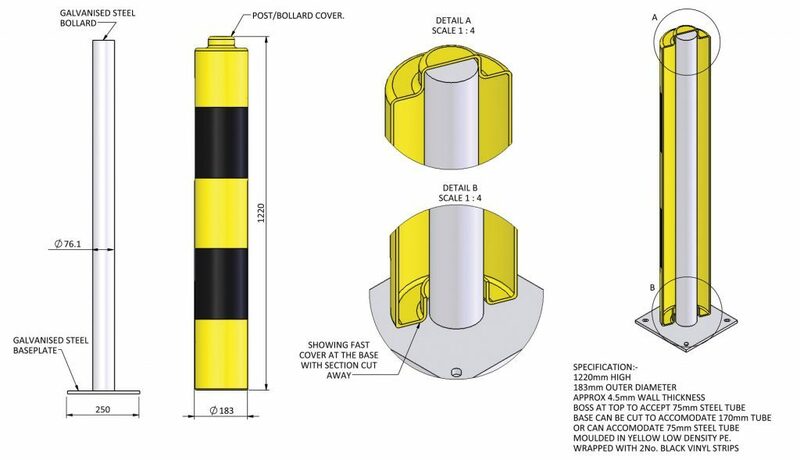 This sleeve can suit 168mm diameter tube or a 76mm core where a lighter protection is acceptable but visible deterrent is still important, keeping costs down. 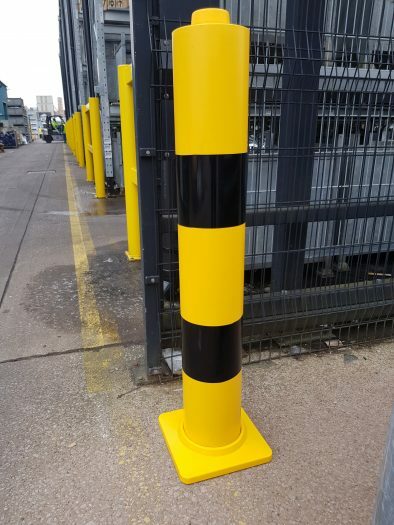 Foam strips allow sleeves to be used with various bollard sizes up to 168mm diameter.